Colin Munro is a monster, no doubt about that. If you want a quick start, he will be anyone's go-to man at the opening spot. Good backlift, muscular physique to swing the bat quickly and with power, immaculate shot selection including the classic reverse sweep and straight drives, and a knack of scoring big with an above average strike=rate are the abilities the Kiwi man possesses. 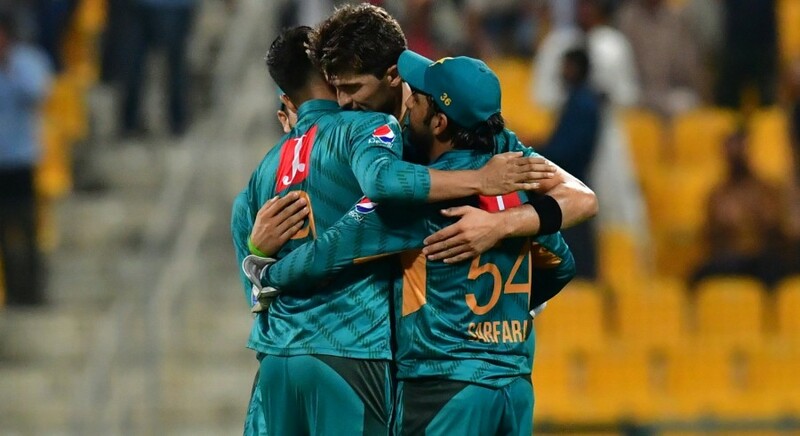 All of the above was on display in the first T20I against Pakistan while New Zealand pursued a target of 149 — easy for the Kiwis to say the least as they had a more solid batting line-up as compared to the distraught Aussies. Imad Wasim, the star man for Pakistan against Australia, looked ordinary in front of Munro as he pummelled him for two sixes and a boundary after settling in — 23 in three overs without a wicket. Faheem Ashraf, another tormentor against Australia, was also not treated well — 15 off his first two overs, also wicketless. Doom and gloom was written all over Pakistani players' faces, but Sarfraz was not ready to take no for an answer. The 31-year-old called on his prime bowler. Hasan Ali, who was usually brought on to bowl in the late overs against Australia, was asked to provide Pakistan with a wicket. Who else could Sarfraz have gone to? Shaheen Shah Afridi is good, but young and still inexperienced. Imad and Faheem have already been taken to the task. Shoaib Malik and Mohammad Hafeez wouldn't have mind to throw in a couple of overs, but at that point, it wasn't defending that Pakistan needed, it was to break the opening partnership. Continuation… Hasan bowled, Munro attacked; six and a four on consecutive deliveries, balls which were not even bad, technically speaking. Hasan walked back, he doesn't show much emotion during his run-up and while walking back to the mark. Next ball, run taken, Munro goes off strike, Phillips faces and drives it to cover, fielder stops it, no run taken. Phillips wants a piece of the Pakistani bowlers too, but he made a mistake that many others before him committed and paid for too — he went into overdrive against Pakistani bowlers. Slower delivery was up next, a little short of the length, Phillips went hard at it, tried to flat bat it between the fielders towards the unguarded off-side boundary, instead chopped it back onto the stumps. Sarfraz now had what he loves, an opposition on the back foot, but danger still looms, Munro is still out there. However, great leaders are born in the greatest of distress. Hafeez is called on to bowl to Munro, more importantly a left-handed batsman, smart move by Sarfraz. One run off the over as Hafeez makes Munro suffer, chokes him with pinpoint bowling, suffocating him with lack of room to open his arms. Shadab is asked to join Hafeez from the other end, another master stroke from Sarfraz. How well does he know how to swift through overs, build pressure on batsmen even though they are in a comfortable position, dry off runs and make the batsmen commit mistakes they ought not to. This isn't luck. These are forced errors, enforced from the back of the stumps, by the captain himself. Overs 7-11 yield only 24 runs, damage control has been done for Pakistan as 75 are needed off 54, and Munro and Williamson are now thirsty for runs and Sarfraz can smell it. He continues to press them, Munro hits Shadab for a four in the 12th, next ball, to his surprise is a full-pitches delivery, he loves those, he goes after it and then goes home. Some would argue Williamson was a threat still lingering in the middle, but his previous 13 outings in T20Is since February 2017 should clear the picture that he is struggling in the shortest format. Scores of 13, 28, 12, 8, 17, 19, 0, 9, 8, a one-off 72, 1, 8 and 9 were on Williamson's mind, and he did wither under the pressure of underperforming once again. An easy top-edge back to Imad showed how much he was lacking in confidence, and Sarfraz, meanwhile, had to adjust once again. A 31st all-team-out plan was out of order and Pakistan now had to defend, and so they did. Wickets after equal intervals, runs hard to come by, Ross Taylor trying his best but failing, things had slowly and gradually turned into Pakistan's favour, and with 17 needed off the last six balls, it was all but over for New Zealand.